Cirque de Seraphim | Oh Look! It's A Blog! I normally do not just do ” informative ” posts without actually blogging anything… but I am making an exception this time. 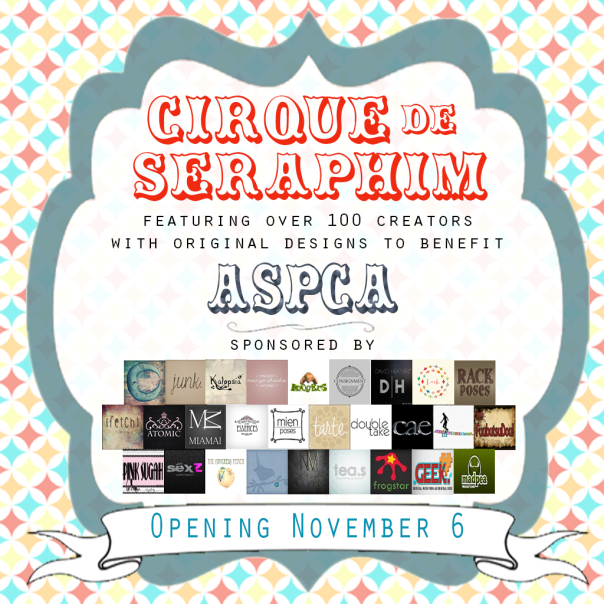 Cirque de Seraphim opens tomorrow – November 6th – at Noon SLT. I wanted to get out the information on this event before it opens, so everyone can be ready in advance. ….and because I am just now working on getting caught up and I am SO BEHIND lol. 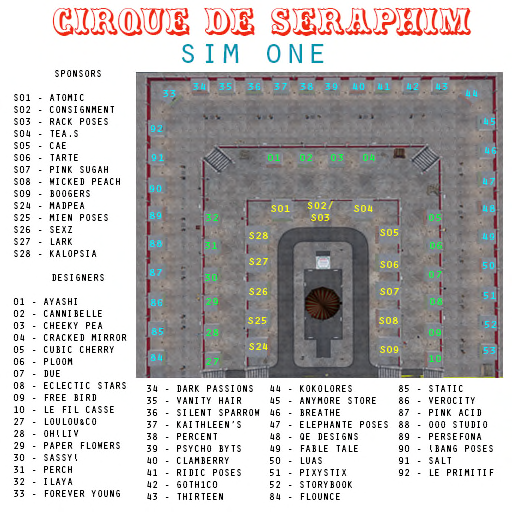 Cirque de Seraphim is a sim-wide sales event featuring designers with new, circus-themed creations. Each designer must provide at least one donation item at 50% donation to the ASPCA, American Society for the Prevention of Cruelty to Animals. You can view the full designer list line up by – Clicking Here – . 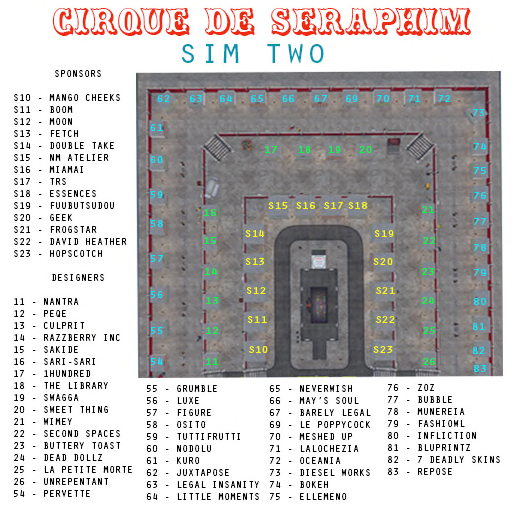 For more information you can also check out the official Cirque de Seraphim website : Here. This entry was posted in iheartslFeed, Uncategorized and tagged blog, Circus, Cirque de Seraphim, event, Second Life, Seraphim, SL. Bookmark the permalink. Pingback: 11.6.14 | Oh Look! It's A Blog!